This railroad landscape view shows Metro North (former New York Central Railroad) tracks crossing beneath a stone wall below the street. Apartment buildings rise above the tracks at street level. The structures seen here range from the tracks and wall built in the 1860s to residential towers from the 1970s. Edward Hopper painted a scene from this location. This railroad landscape views shows a variety of colorful buildings and an Adult Video store with two cars parked along the tracks. An industrial corridor in Maspeth frames Long Island City in the distance. The New York & Atlantic Railway operates on these tracks for local freight. View of Baltimore & Ohio NA Railroad Tower in Martinsburg, West Virginia. Railroad tracks are visible on the left and residential houses on the right side. This is a railroad landscape view of CSX Transportation’s Riverline, formerly the New York Central’s West Shore Line. Historic architecture on the Newburgh Waterfront frame the scene with the Hudson River and Beacon, New York in the background. A clearing storm and thick clouds dramatize this scene of the Union Pacific's transcontinental railroad in Wyoming. In the foreground are roadside ruins along U.S. 30 Lincoln Highway, which runs parralel to much of the railroad in this area. 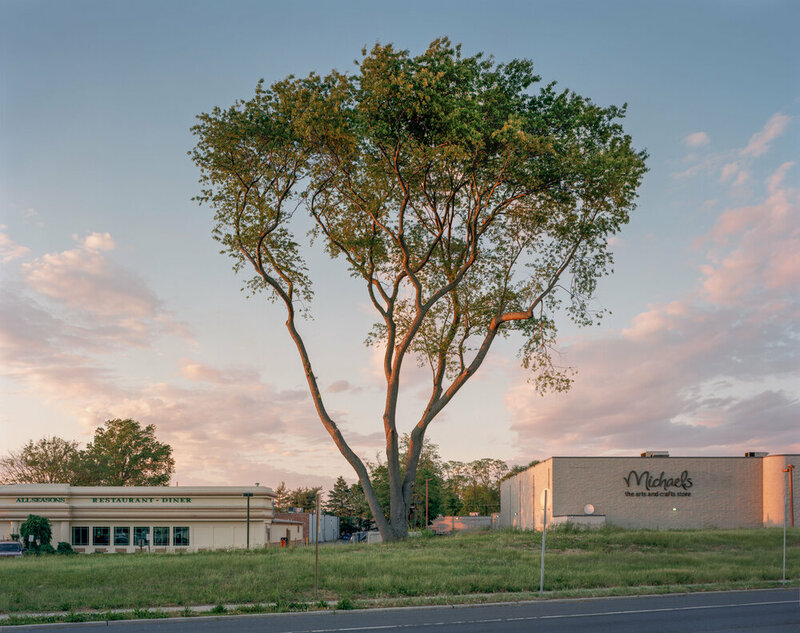 The buildings and clearing sky symbolize the railroad's influence on Westward expansion. A house near Stony Point. 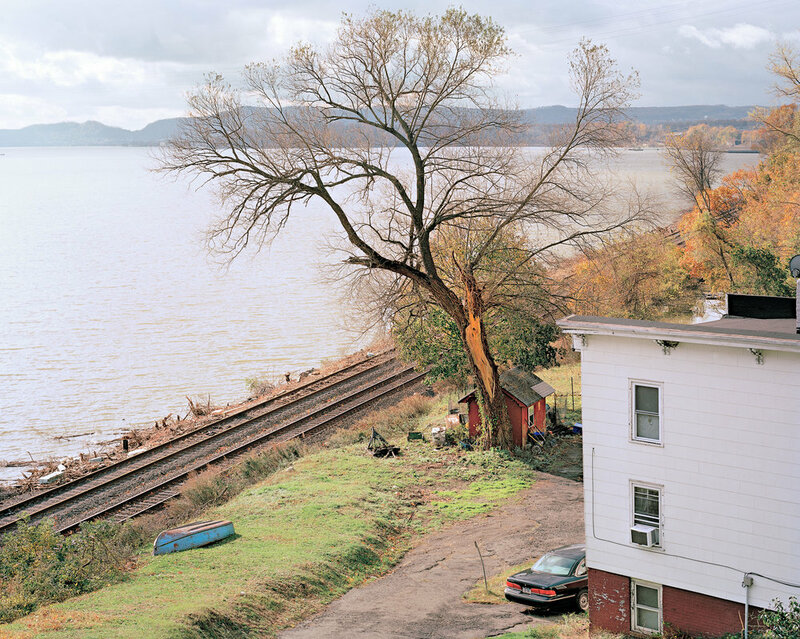 New York overlooks CSX Riverline (former West Shore Railroad) with the Hudson River beyond the tracks. A car sits infront of the house and a small blue rowboat is upside down on green grass with a giant tree in the middle centering the scene. 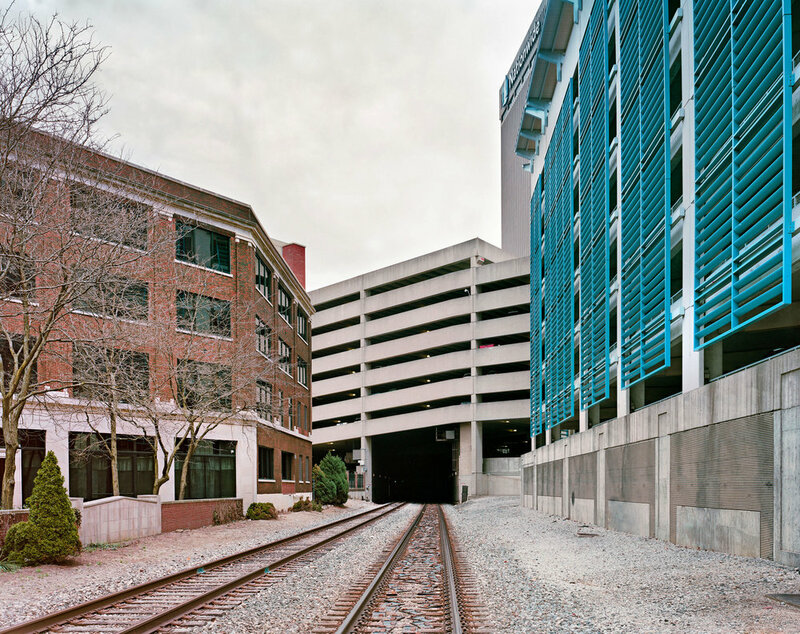 This view of an artificial tunnel in downtown Columbus, Ohio shows how buildings have been constructed around railroad tracks in order to maximize real estate space. Two parking lots surround the tracks, symbolic of how the automobile displaced passenger train travel in much of the United States. The Nationwide building rises above the tracks. Railroad landscape showing the Steelways Shipyard building in Newburgh, New York. Railroad tracks stretch horizontally along the bottom of this panoramic image with the building's glass windows reflecting various shades of blue. The railroad tracks are still actively used by CSX Transportation. Taken on large format 4x5 camera using 4 negatives stitched together. ArcelorMittal steel mill and power lines surround railroad tracks in Cleveland, Ohio, in this railroad landscape view. Fog in the background obscures the farthest distance. This image was captured on large format 8x10 in. film with a Fujinon 600mm lens. A fence stretches from foreground to background and is falling over in places. Cleveland sits at the eastern border of what is known as the Rust Belt and has been a center for steel production since the 1800s. Formerly part of the Studebaker Automobile Company, this is a section of what remains of the original factory. 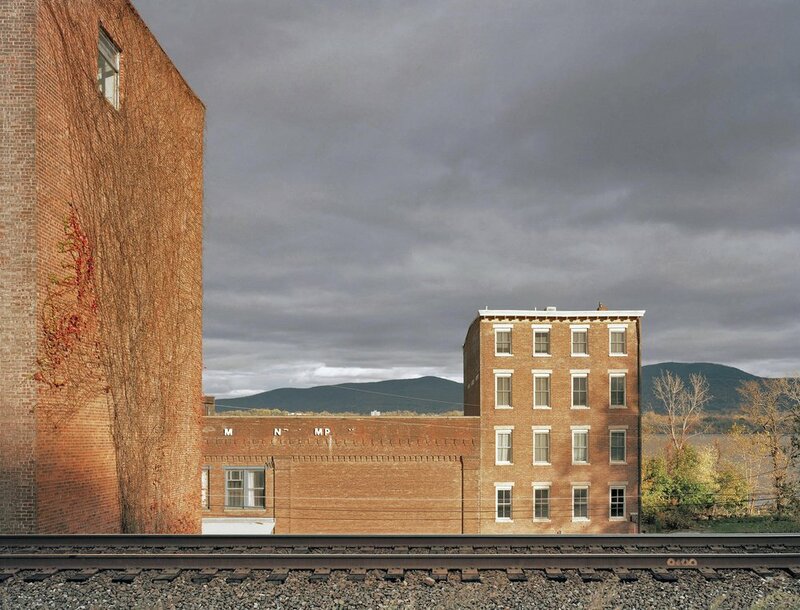 The parallel of the tracks with the industrial building is something which I return to in the railroad landscapes project. The large window array reflects blue sky and the rising sun glints off the building's windows. A pile of ballast is in the foreground with various other railroad supplies. Sinclair's refinery sits beyond the railroad tracks of the Union Pacific's first transcontinental line, completed in 1869. Bootlegger Tunnel is the longest rail tunnel in Utah. 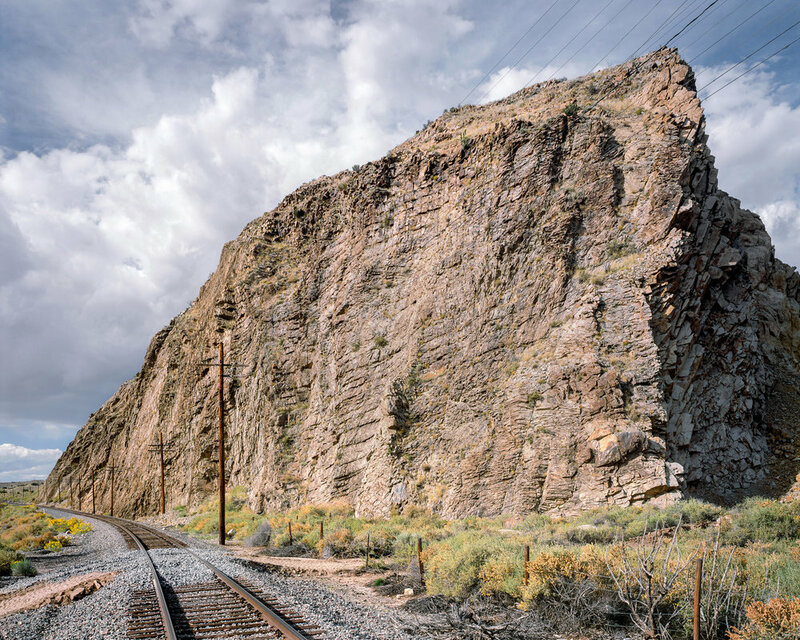 Built by the Union Pacific Railroad it currently sees only one train a week, a run to the Kane Creek potash mine along the Colorado River. This is a view of Sloss Furnaces National Historic Site in Birmingham, Alabama, which was called the “Pittsburgh of the South” because of its industry. The mill produced pig-iron from 1882-1971. 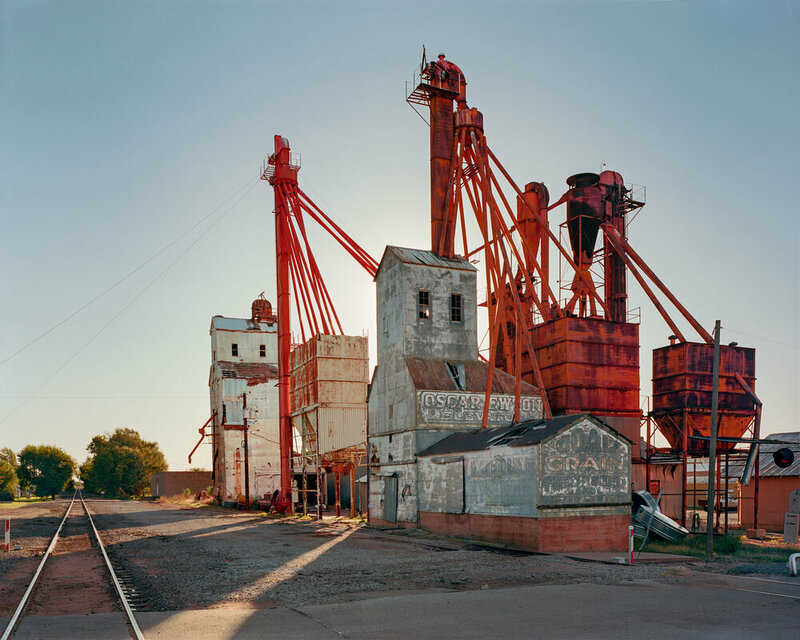 The Oscar Ewton Elevator stands in Sayre, Oklahoma as the early morning sun rises behind the structure. Railroad tracks parallel Interstate 90 as the natural Wyoming landscape recedes into the background. Historic Buffalo Central Terminal platforms and infrastructure are visible in this railroad landscape view. Flour Mill structures in background with rail cars in midground and railroad tracks in foreground frame this architectural railroad landscape view. 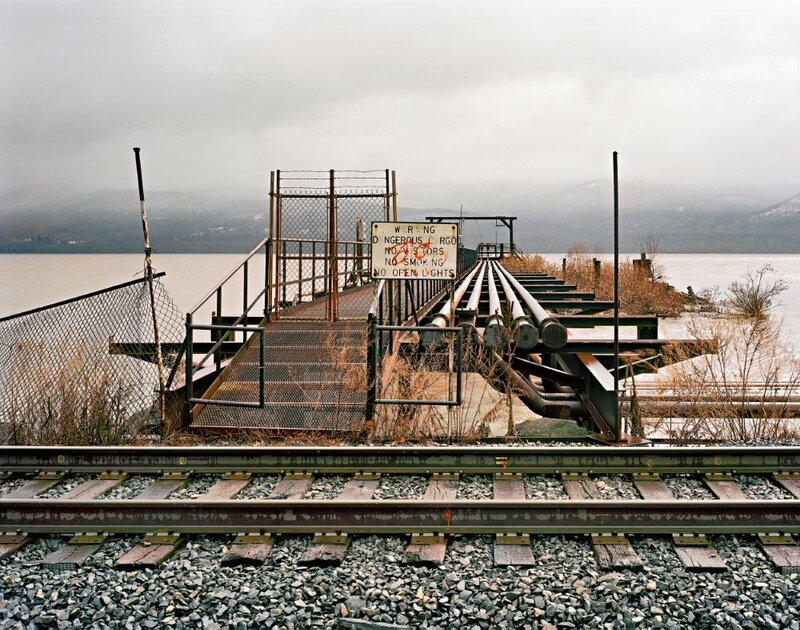 A fuel transfer station sits along Hudson River with railroad tracks in immediate foreground. A pier with pipes stretch out into the water with a sign describing dangerous cargo at the entry to the pier. In 1975 American Victory's sister ship, the Edmund Fitzgerald, was lost in Lake Superior with all her 29 crew aboard. The American Victory, formerly the Middletown, is one of the oldest and most historic ships on the Great Lakes. The ship saw duty during World War II on both the Pacific and Atlantic Ocean as a tanker, where she's credited with shooting down an enemy airplane. She was also hit by a Japanese bomber. Five sets of railroad tracks lead into darkness as they enter an overpass for a roadway in Ohio. Graffiti is strewn across the walls with a cloudy grey sky above. This building is part of the South Union Shaker Village, an original settlement of The United Society of Believers in Christ's Second Appearing, a Christian sect most active in the 19th century. This section of New Mexico was a mining town in the 19th century and later became a stop along the route of the Santa Fe Railway. Devil's Throne was the name given to the rock formation here because of the treacherous country. An overpass to the former Anaconda Wire & Cable Company in Hastings, New York. Diptych view of Midtown Manhattan as seen from Long Island City, Queens. A panorama is framed through the second floor of a motel with room numbers pointing in opposite directions, mirroring the parallel tracks in the mid ground. View of White Lake, South Dakota with the Milwaukee Road (Chicago, Milwaukee, St Paul & Pacific Railroad) depot, grain elevator and Supersweet Feeds sign. A white car sits in front of the depot with railroad tracks alongside. View North and view South of the Overseas Railway in Florida Keys, completed by industrialist Henry M. Flagler in the early 20th century. Sections were destroyed by the Labor Day Hurricane in 1935 and the line was abandoned. Duel vanishing points of railroad tracks and roadway stretch into the distance as the sun sets over the horizon. 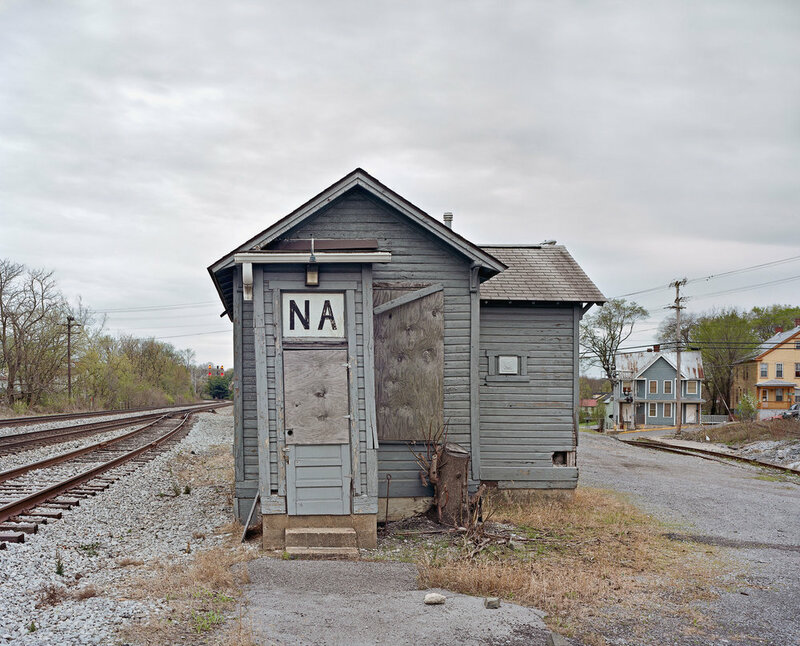 A lone railroad crossing gate stands vigil over the scene. Powerlines stretch along the road to the right. This is part of the Long Island Railroad's Montauk Branch. View north towards Woodlawn Junction on the Metro North Railroad.